Custom designed wall art from Ohio Wholesale is the answer to all of your home decor and unique gift needs. 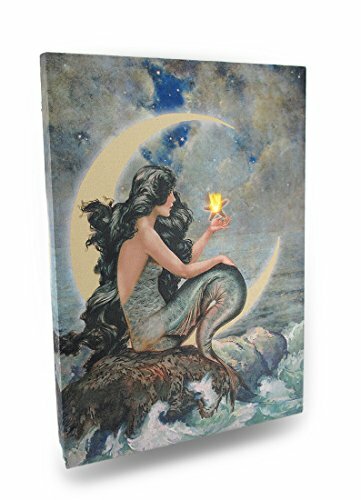 Ohio Wholesale Lighted Moon Mermaid Canvas Wall Art, from our Water Collection is a unique and stunning accent to your home decor. This beautiful work of art is lit up using an LED light and powered by one AA battery (not included). This canvas will delight your guests with its warmth and charm for years to come. Measures 14-3/4-Inch by 11-Inch by 3/4-inch. Family owned and designed in the U.S.A, Ohio Wholesale has been satisfying customers with quality and service for over 35 years. Decorate your life with treasures from Ohio Wholesale.